As mentioned last week, a new handbag is definitely not in the cards for me this year. 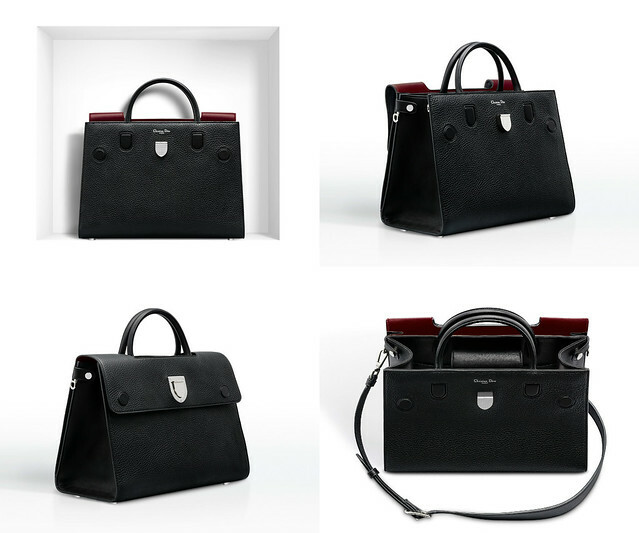 However, when I stumbled upon this brand-new Dior Diorever tote, my heart skipped a beat. How beautiful is this? A tote bag is something I'd like to add to my collection someday. BTW, let me know if you're interested in my handbag wishlist. I am more than happy to share =) You might recall I purchased the Prada double bag last year but ended up finding a new home for it shortly after. I put the funds towards my Chanel coco handle. I still like the Prada very much but since I can only afford one, I had to make a choice. I think the tote bag is probably one of the most practical bags. However, I do prefer to have some type of closure on my bags. The Prada double bag is just an open tote. While doing some research, I stumbled upon the Diorever tote and I was literally drooling! Let me start by saying that I was never a fan of Dior handbags especially the popular Lady Dior. The Diorever is a total game changer. It's classic, sleek and very understated. What sold me is the reversible flap feature. It can be worn as an open tote or you can flip the flap over and wear it as a brief case (very Birkin-esque). The bag is just released in Feb 2016. I wouldn’t be surprised if this becomes the next it bag. When I have a chance to visit Chicago or New York, I'll be sure to stop by a Dior boutique to check out this bag in person. Wow, so beautiful! Yes, share your list!! !